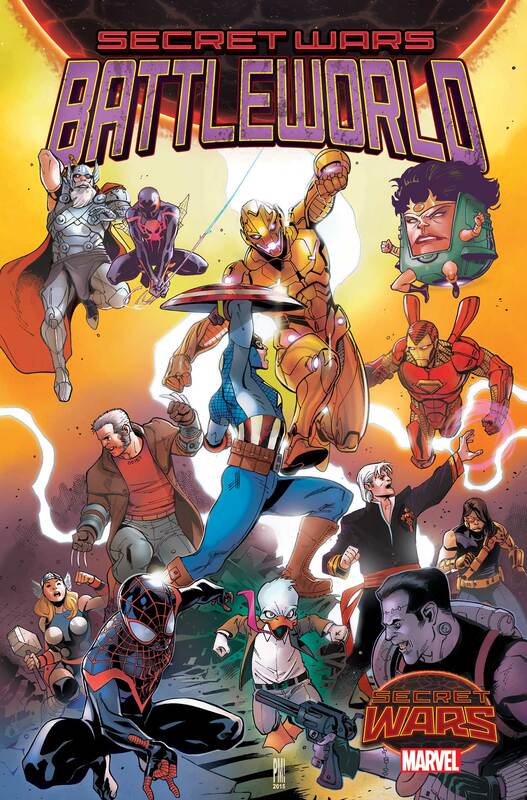 The battles in Secret Wars are so big, we had to launch an entirely new book just to contain them! This May, prepare for the big, bombastic action like you’ve never seen before in SECRET WARS: BATTLEWORLD #1 – a new 4-issue limited series of wall-to-wall action across the surface of Battleworld! Bursting with epic action, each issue of SECRET WARS: BATTLEWORLD features two all-new high-octane stories ripped from the pages of the biggest event of the year! This issue – what happens when Dr. Strange possesses the Punisher? Meet the Sorcerer EXTREME! Only Spider-Man, Wolverine, the Hulk and Ghost Rider of this land can track this terrible two-in-one down. And things are going to get messy! Then, what happens when M.O.D.O.K. recruits every M.O.D.O.K. ever from across Battleworld for his evil scheme. I’ll give you a hint – F.I.G.H.T.! Each issue – cover-to-cover action, pulse-pounding battles and can’t miss creators. You want action? 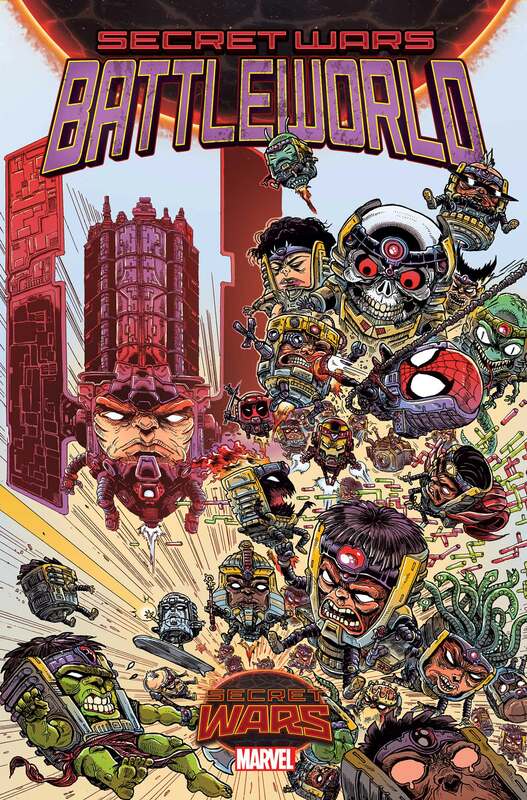 Look no further than SECRET WARS: BATTLEWORLD #1 when it explodes in to comic shops and on to digital devices this May!